This month I’m rounding up my recent nonfiction reads, and there have been plenty. 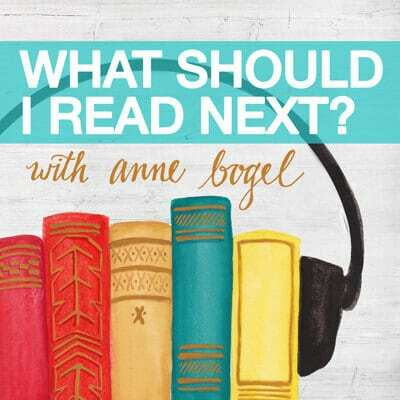 I can’t wait to hear what you’ve been reading: link up a post or tell us in comments. 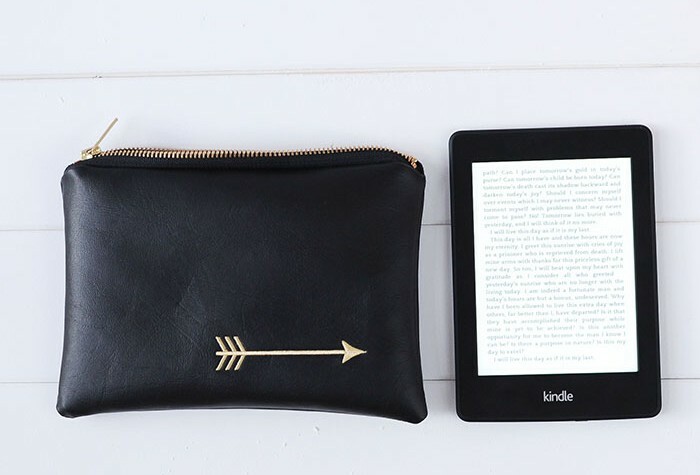 Next:Win a Kindle Paperwhite and a custom pencil pouch from Lucy Jane Totes. These look great! I am a Reichl fan but haven’t heard of this one yet. Thank you! I can’t wait to read more Reichl! I just read Delicious recently and now I’m ready for anything else she’s done! Have you read Voracious by Cara Nicoletti yet? It’s a memoirish cookbook that I FLEW through just before reading Delicious. Thank you for the great suggestions! 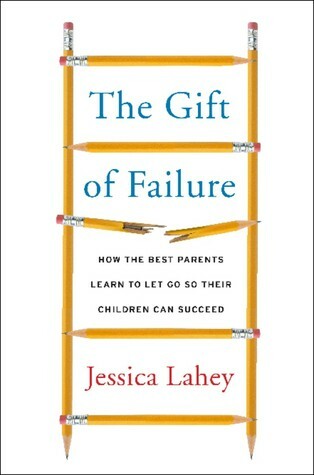 Looking forward to checking out The Gift of Failure and Money Making Mom. I enjoyed Essentialim, but totally agree that it felt padded in spite of being pretty short. Now I’m reading The ONE Thing by Gary Keller and Jay Papasan. Similar message to Essentialism, but not quite as inspiring. Still working on The Happiness Project by Gretchen Rubin. I’m almost done and I love this book so much. Looking forward to reading most of these on your list too. I just pinned the Essentialism and the Sarah Bessey book to my book board for later, and I’m next in line for Riechl’s at the library (can’t *wait*). I just finished Gretchen Rubin’s “Better Than Before” (LOVED it) and Mary Oliver’s new one, “Felicity” (just okay), and am now reading “Chasing Francis”, which is really, really good. I’m only about 60 pages in. It’s actually sort of similar to one of my favorite all-time books (“Sophie’s World”), and I realized why–in the back Cron explains that this genre of novel is called Wisdom literature; partly true, partly novel, partly history, partly memoir-y feeling. If that makes any sense! Thanks for the recommendations! They all sound amazing. I just ordered the Cyzewski book. It is just what I need at the moment. I will keep the others in mind for later. The Jen Hatmaker one will be up soon, I think. “Just Mercy” is still on my TBR list. 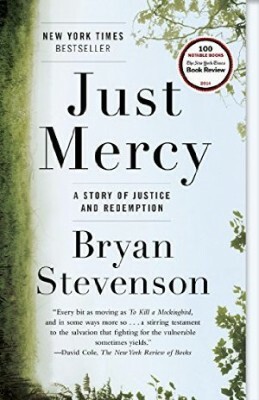 An old friend from college works with the Equal Justice Initiative, so I really do need to get to this one and compare Stevenson’s story with the ones I’ve heard from her. They’ve taken on no easy task. 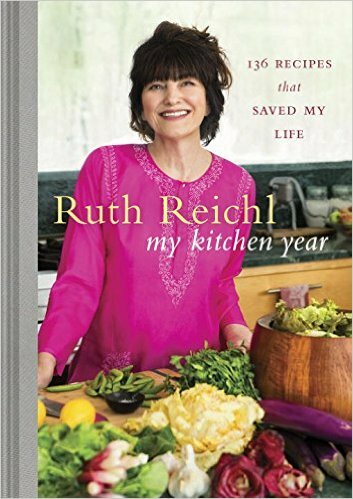 I can’t wait to check out Ruth’s new book. I love her writing so much. 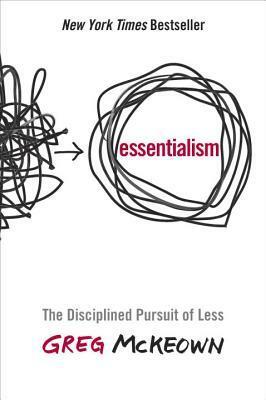 I have been sitting on Essentialism for a long time, now I have the push I need to get it read this winter. Your nonfiction reads all look great, Anne. (This was a nonfiction-only month for me, too, though I only read 2 books.) I’ve just finished Bessey’s Jesus Feminist and look forward to reading Out of Sorts soon. Essentialism shook up my thinking a little bit, and in a good way! Just picked up another of your recommendations, Quiet The Power of Introverts in a World That Can’t Stop Talking, and even though people call me a social butterfly and the life of the party, I checked all but one on her introvert quiz. Talk about things suddenly making sense! I love your blog and while I rarely comment, I ALWAYS go check out the books you mention. Thank you for being such a wonderful source of book information and enthusiasm! I just finished a great non-fiction and wanted to read more, so this is perfect timing for me. I just read Four Seasons in Rome by Anthony Doerr and found it fascinating on so many levels, especially reading some of the back story of All the Light We Cannot See. As always, thanks for the recommendations Anne! I’ll be reading ‘Just Mercy’ in the winter. Looking forward to it! 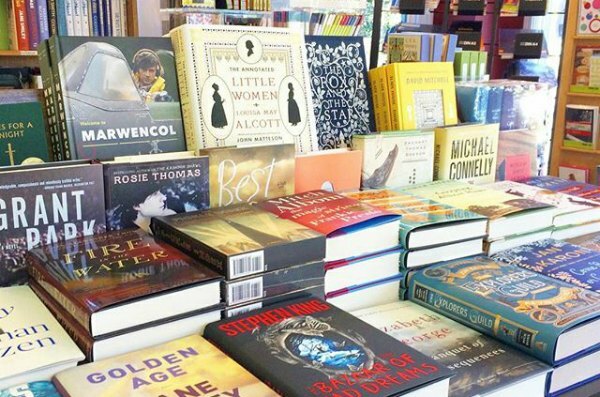 I’ve been focusing on getting through the fiction picks from my fall reading list. Although I did pick up The News Sorority by Sheila Weller and I definitely recommend it! yet, I highly recommend it! a few days on both occasions. A Fairy Tale by Jonas T. Bengtsson – This book was translated from Danish. It’s a great story and a really well executed translation. Check it out! And this was only the non-fiction you read this month! Amazing! 🙂 These all sound good. I just happened upon A Three Dog Life, by Abigail Thomas, while browsing biographies at the library. It is a memoir of how her life changed after her husband sustained a traumatic brain injury that changed his. But really, it is also a series of essays on wonder, change, loss, growth and joy in life. 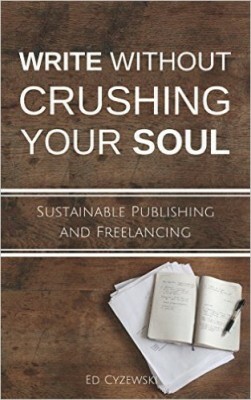 It is a very positive, well written book and I recommend it! My book club read Just Mercy along with the UW Big Read and we all really enjoyed it (maybe enjoyed isn’t the right word, but you know). I DO know. That’s a great book club read–so much to talk about there. I’ve been hearing great things about The Gift of Failure and My Kitchen Year. Can’t wait to read Out of Sorts. I just finished The Art of Travel by Alain de Botton (speaking of great nonfiction) and The Curious World of Calpurnia Tate (so much fun). I LOVE all the nonfiction books. 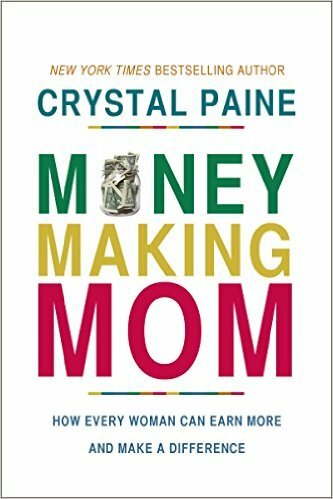 I really excited to read Money Making Mom, but I just finished Jesus Feminist and LOVE Sarah’s voice. 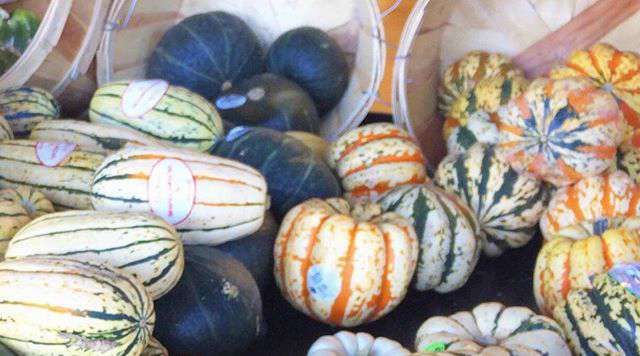 I am intrigued to pick up Out of Sorts. 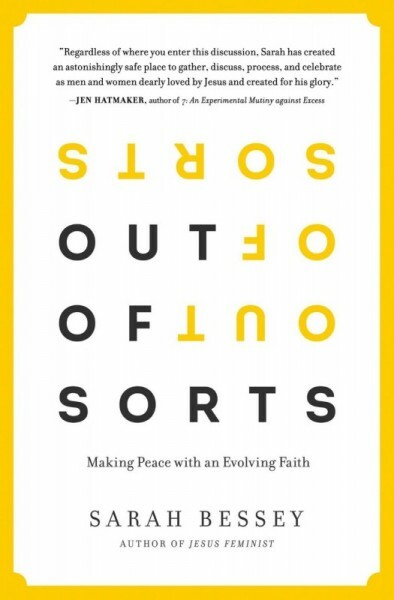 I can totally relate to you – being “out of sorts” is not something I could’ve related to in my 20’s. I think Sarah has a great way of articulating a tension I may sense and feel but can’t put words to. Ruth is so fantastic. I recently read Delicious and LOVED it. (I found it in a Little Library) My Kitchen Year is on my wishlist. 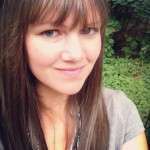 Do you follow her on Twitter? She’s fantastic.